The November 2010 issue of Young Ace (Kadokawa Shoten) includes a new Mari Makinami Illustrious (ver. 2) “Special Appendix” figure. 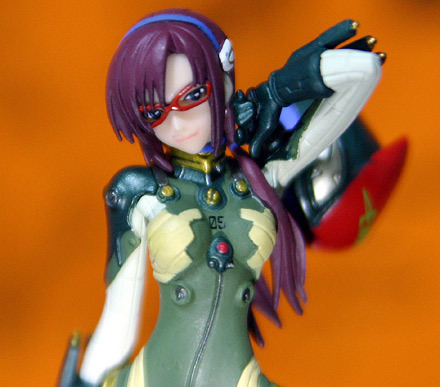 The figure was announced back in the April 2010 issue and some adverts included it with the August 2010 issue, which for some reason didn’t pan out. Instead it was bundled with the just released November 2010 issue. 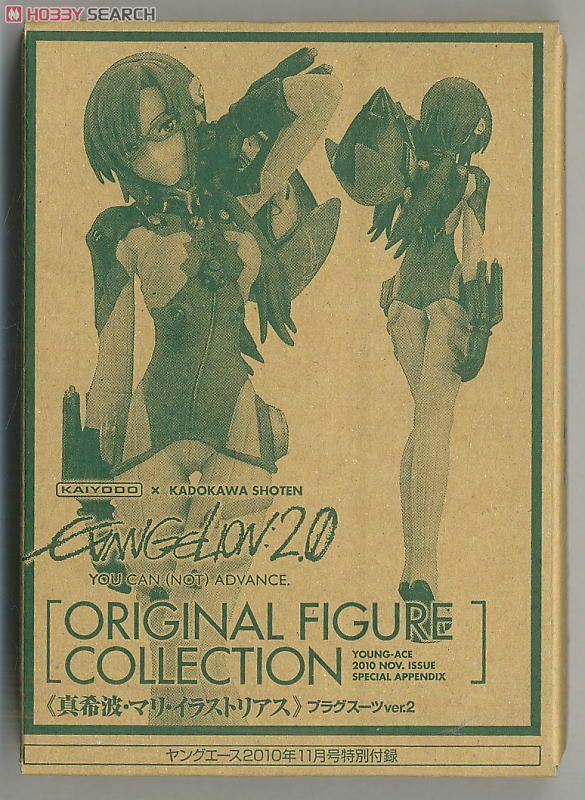 Similar to previous “Special Appendix” Kaiyodo Evangelion figures, they’re pretty small and kind of cheaply made, but you can’t expect much when it’s bundled with an $8 magazine (658 yen without tax). It’s limited so if you want one, ask your importer or go to your favorite online store (if you’re not in Japan). 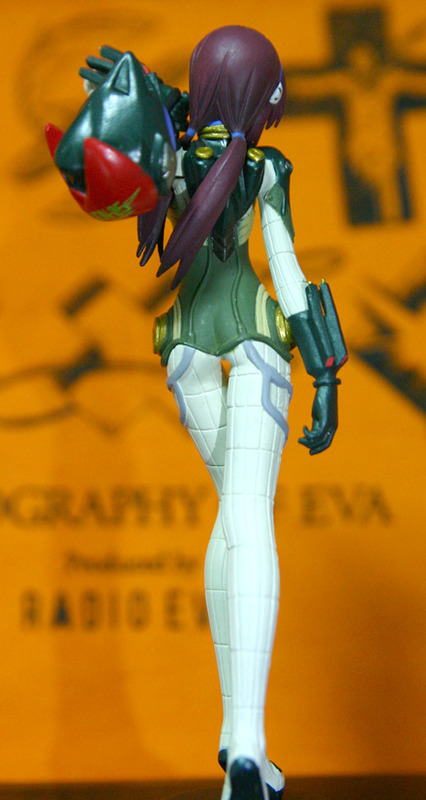 There has previously been a “Special Appendix” figure of Rei, Asuka, and Mari (thus the “ver. 2”).